While extra stations are planned near to current stations, Talbot Street is the only existing station which will have stands added to it. 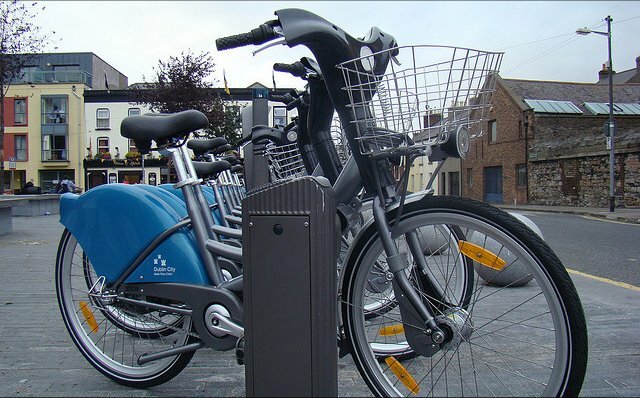 Or you can view the map released by Dublin City Council: DublinBikes extension map. Cannot wait for this. I’d love the be able to go much further by bike. Plus more bikes may offer a better availability as well. I do hope that in the future (roughly) Dublin 7 and 8 will also be served better as they seem not really as well served as the areas around them the current plan. Wow, I had not realised how much of a gap there would be South of the Coombe. That is stark. When are they hoping to complete the expansion? Off hand, I think by the Summer.